SubMinder can help you track what subscriptions are due when. 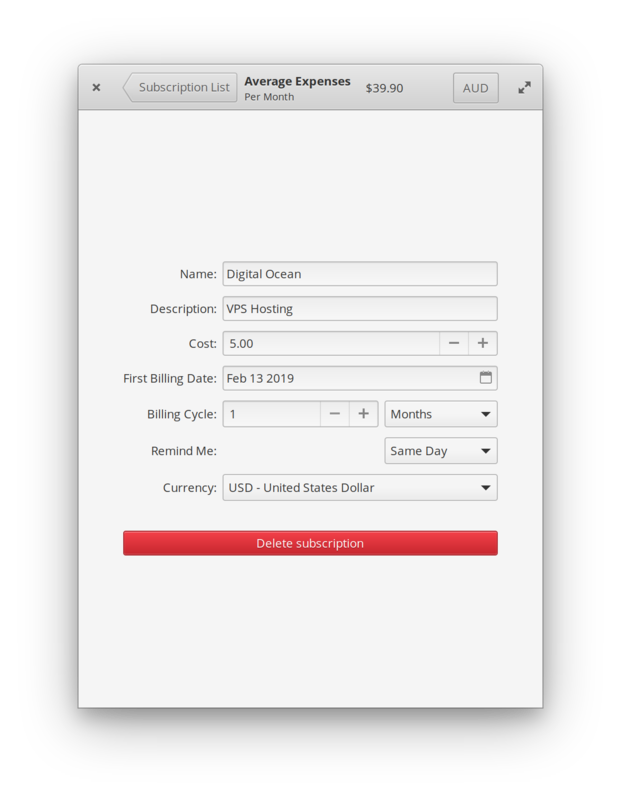 You can create a list of your subscriptions and when a payment is upcoming you can get a notification with what subscription payment is coming up and how much it will cost. SubMinder also provides you with how much you are paying on average per month. 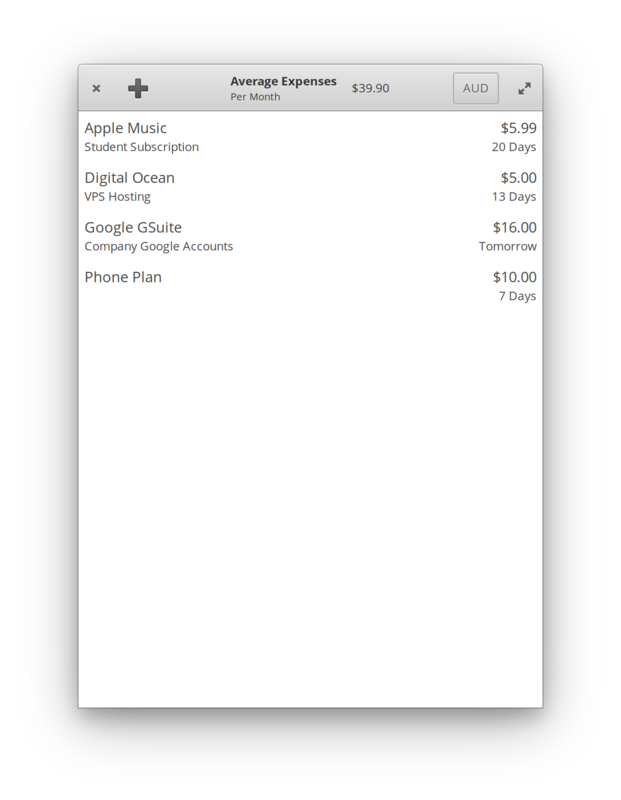 This can help you better manage what subscriptions you should keep paying to manage your budget. Subscriptions in a currency different to yours will be converted to your currency so that you can have a better picture of what you pay. Get SubMinder and more on elementary AppCenter, the open, pay-what-you-want app store for indie developers. Every app is open source and has been reviewed and curated by elementary to ensure a native, privacy-respecting, and secure experience. Fixed issue with spin buttons not updating properly. Created a proper app description.